MXF (Material Exchange Format) sounded like it was a good idea when it was proposed as a standard for the creation and interchange of media between cameras, NLE’s and output devices. One big problem though, Final Cut Pro hates Long-GOP MXF footage which is highly compressed. The way round this is to convert MXF files to Apple ProRes. If you want to directly use MXF files in Final Cut Pro X, read on the following guide and learn how to. In usual, most users would try to do the MXF to ProRes conversion for FCP via Log & Transfer(in FCP 7) or the plug-ins such as Sony XDCAM Transfer to import MXF to Final Cut Pro as a background converter. Whereas, it’s frustrating most of them can not receive satisfactory results. The whole process is messy and takes time but is preferable to constant crashing. Here we’d like to recommend MXF Converter for Mac, which is an easy-to-use yet professional MXF to FCP ProRes converter that can ensure maximum editing quality and efficiency when working with Final Cut Pro. This Mac MXF to FCP Converter can help you transcode .mxf to ProRes 422, ProRes 422 HQ or 4444 for Final Cut Pro with several simple steps. Besides, the Mac tool also supports professional encoders like Apple Intermediate Codec, DNxHD, MPEG-2, etc for iMovie, FCE, Avid Media Composer or Adobe Premiere Pro and more editing programs. The Mac MXF Converter can be your best choice when you need a Panasonic P2 MXF Converter, a Canon MXF Converter or a Sony XDCAM MXF Converter, you can do action with .mxf files at anytime anywhere. 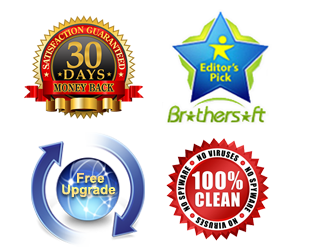 Just download the software and follow the step-by-step guide. 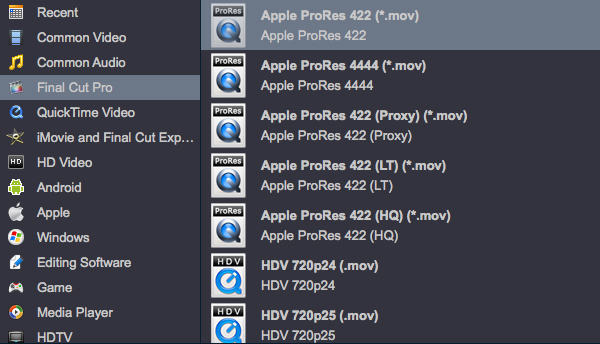 Launch the program and click “Add ” button to import the MXF files to the top MXF to ProRes Converter Mac. Batch conversion is supported. Note: To convert MXF video you need to transfer the whole MXF file structure to Mac HDD, because MXF systems produce split-file A/V (that is, the video and audio stored in separate files). And this MXF converting software will find corresponding audio content by itself and mix it to video during conversion. Click on the “Format” bar and get the dropdown menu, then move your pointer to choose “Final Cut Pro> Apple PreRes 422” or “Apple ProRes 422 HQ” or “Apple ProRes 4444” as the output format. Tips: If you want to set some parameters for the output profile, you could click the “Settings” button to set the output bitrate, encode, frame rate, resolution, sample rate, channels, etc. 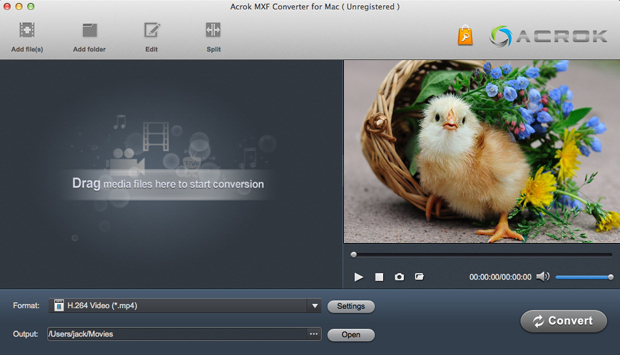 Click Convert button to start converting MXF to ProRes .mov for Final Cut Pro on Mac OS X. Once the conversion completes, you can click “Open” to find the .MOV videos which can be directly imported to FCP. As you see, now you can import and edit MXF clips in Final Cut Pro 6/7/X without problems. If you want to edit MXF media in Adobe Premiere Pro, please choose the ” Adobe Premiere/Sony Vegas –> MPEG-2(*.mpg) ” as output; For iMovie or FCE 4, choose the “iMovie and Final Cut Express -> Apple InterMediate Codec (AIC) (*.mov)”. For Avid MC, choose “Avid Media Composer > Avid DNxHD(*.mov)”.